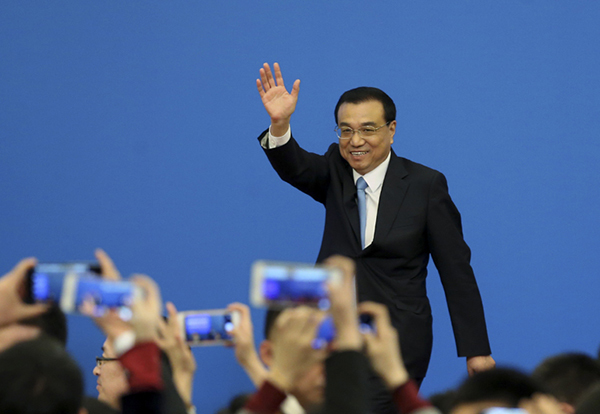 China will open even wider to the rest of the world, Premier Li Keqiang said at a news conference on March 20. Premier Li Keqiang said on March 20 that China is capable of forestalling systemic financial risks, ruling out the possibility of such risks in the country. Trade between China and Russia registered an over 20 percent growth year-on-year in 2017 and there are still untapped potentials in their business cooperation, Premier Li said on March 20. Property rights are the cornerstone of a socialist market economy, and protecting these rights has always been an important element of the government’s agenda, Premier Li said on March 20. Premier Li Keqiang said on March 20 that China will make utmost efforts to facilitate denuclearization and peace and stability in the Korean Peninsula. China’s experience in tackling poverty, a priority laid out by top leaders, should be shared by the world, said an expert with a think tank based in Thailand.